Whenever we talk about quality content, we’re usually referring to evergreen content. Nothing against news bloggers, but evergreen posts usually create a longer-lasting impression. Here I’m going to share a dirty little secret which many of us have been doing for a long time, and it’s one of the easiest ways to create a listified post (and without much work). Now, everyone LOVES list posts. Even before they open the post, a reader knows approximately how much value they’re going to get out of it, and will know how far into the content they are based on the number they’re at. And most importantly, these posts are typically very evergreen. These kinds of posts generate a lot of traffic and a lot of positive reactions. In particular, social bookmarking websites love these listified posts. A well-researched and up to date list article will surely grab the attention of many interested readers. How do you create listified posts? Just pick a topic. Let’s say you want to post about broken link checking websites. And you found 5 of them. Great! But there’s a problem; you want to list 10. So what do you do? Here is a simple formula which is going to save you hours of time on research. Now, most popular blogs and online forums take polls on any given topic in their niches. Readers usually vote on a given option and even suggest many new options via the comments. Your task is to make a list of the top votes and suggestions added by readers. This way, you can create a unique post with popular and upcoming apps/websites. It’s simple. Basically, take the top results of the poll (and the most suggested suggestions by readers), and turn that poll into a list. Lifehacker is a great place to get such ideas. But one suggestion I would make is to first do a review of each individual product. Then, when you do your list post, you can interlink to your reviews of each individual product. 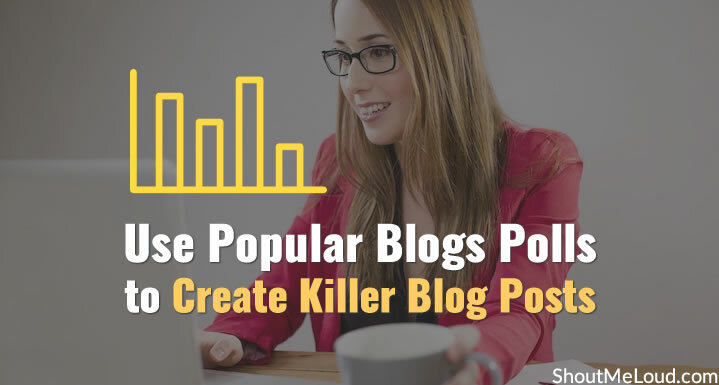 This way your list post will become a killer resource, and you’ll become an authoritative, niche-dominating blogger. And if you follow this method, you’ll never run out of ideas. Have you used this method in the past? What are your methods for creating a great list article? Share your thoughts in the comments below! You have revealed one of the trick which i was doing all these days 😀 lol..
Yeah, this tactic definitely works. Sometimes an accidental idea I come across may help me make a great list. It’s completely fresh and strange, so readers would love it. 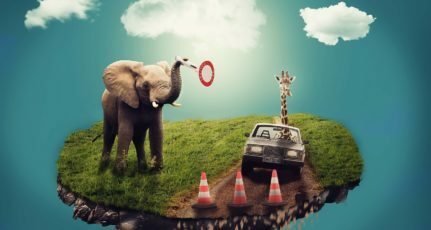 hey such kind of posts really help us in driving good traffic as they would be current trends or hot topics..
that brilliant idea, easy pesy to create a post yet very good in quality..
Nice article 🙂 . These types of posts helps in driving traffic to your blog. I wrote an article on list posts a few weeks ago. It’s a proven method as long as the title is “killer” too. Listified Posts are really awesome in getting instant traffic thru Social Media sites, use your social network to spread those posts effectively. I experienced the same on my blog and still getting nice amount of traffic thru those posts. Thanks Harsh for sharing the Poll trick, ya it works. This is going to be a good and brilliant idea ever. Thanks. Nice tactic. Saw it been implemented on leading blogs across the web. I currently don’t have polls on my blog and I know I should, but I have many plugins and I really don’t want to be adding more. I do like list posts for so many reasons and many other users do as well. great tip. very easy and simply way to drive traffic to your post and then again direct them to go to another post. will try it and hopefully will get the desired results. wow Just Amazing Man 🙂 You really reveled a great secret :: It will help a lot people like me. Thanks a lot for sharing such great tips. You have revealed all the Seo Secret hats off for your effort; This proves to be helping for newbies Keep Sharing good stuff. Thanks Harsh for sharing this simple yet profound way of creating a blog post. Yeah you are very right in saying that comment sections provide very useful insights and some new points added to the discussion by the viewers. I have also followed this strategy in three of my blog posts. The result was really very positive in terms of the social share of the post as well as traffic to those articles.